Manic Street Preachers Are BACK! 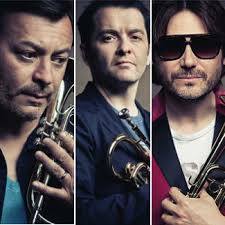 For all of you Manic Street Preachers lovers, you’ll be thrilled to learn that they’re BACK! Yes, the band’s new album ‘Rewind The Film’ is due for release on September 16th. They’re certainly not new to this industry. In fact you could say they’re the connoisseurs of the music industry. Not only have they announced their 11th album – yes that’s right – we said 11th, but they have also announced details of a single and a tour. The album ‘Rewind The Film’ is due for release on September 16th. Recorded in a selection of interesting locations, including the band’s own studio in Cardiff, Hansa in Berlin and Rockfield in Monmouthshire – it features a fantastic selection of guest appearances, including the likes of Lucy Rose on track ‘This Sullen Welsh Heart’, Richard Hawley on the title track and Cate Le Bon on track ‘4 Lonely Roads’. ‘Rewind The Film’ is the follow-up to their album ‘Postcards From A Young Man’ released in 2010. The band’s tour will shortly follow the September 9th release of their single ‘Show Me The Wonder’, where they’ll be playing at the following locations; Glasgow, Manchester, London, Bristol, Dublin and Newport. If you love Manic Street Preachers as much as we do here at UK Top 40, be ready as tickets go on sale Friday July 12th. We hope to see you there! This entry was posted on Monday, July 8th, 2013 at 4:32 pm	and is filed under Music News. You can follow any responses to this entry through the RSS 2.0 feed. Both comments and pings are currently closed.